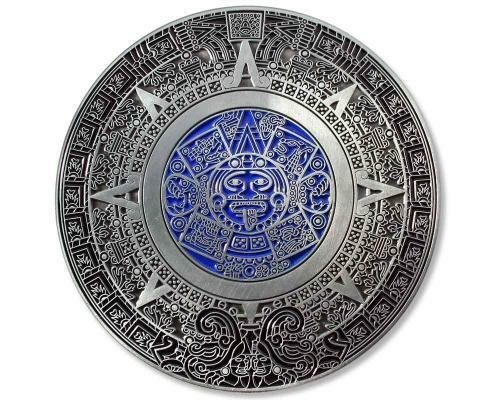 The biggest tracklable geocoin with diameter 100 mm. 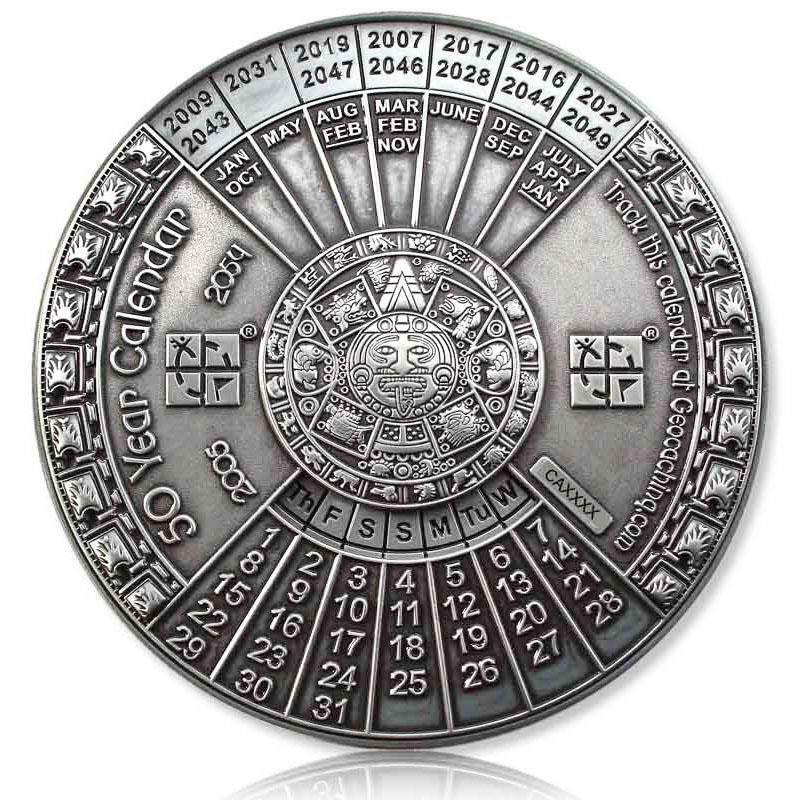 Functional 50 years calendar - for years 2005 to 2054. 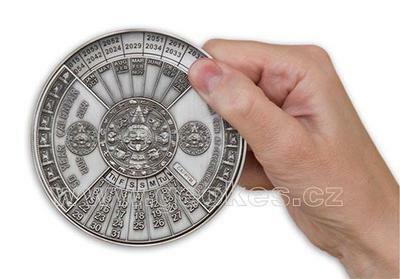 Rotating calendar on the front side, Aztec motive on the back side. 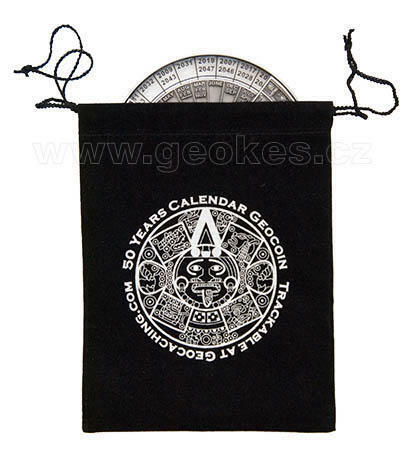 Geocoin is delivered with the velvet pouch.